All around Italy, “pesto” means a sauce made by mixing raw ingredients in a marble mortar with a pestle. The use of this ancient tool, instead of an electric mixer, prevents the ingredients from oxidizing and heating up. The result is a bright-colored, fresh and creamy pesto. 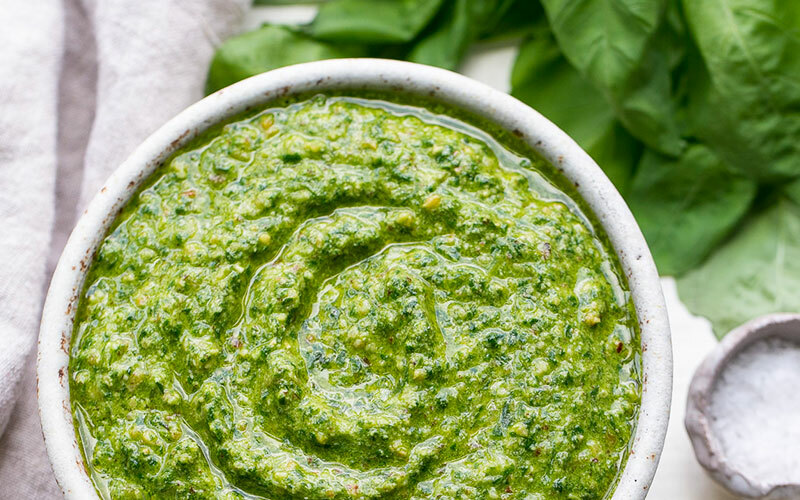 In addition to the best known version, the Ligurian Basil Pesto, there are a lot of regional variations, depending on the typical products of each area. Legend has it that, a monk living in the convent of Saint Basil, near Prà, harvested the basil that was growing on the surrounding hills. Then, he pounded it in the mortar with the ingredients donated by some religious people: garlic, pine nuts, cheese... Thus, the pesto alla genovese was born. Ligurian Pesto is the second most popular sauce for pasta after the tomato based one and, certainly, the most popular one when it comes to cold sauces. The original pesto alla genovese is made with basil from Prà (a variety with smaller leaves that grows in the Pra area, near Genoa), coarse salt, garlic, Ligurian Extra Virgin Olive Oil , Italian pine nuts and grated Parmesan Cheese. Pesto alla Genovese has the DOP label, literally ""Protected Designation of Origin"". As the the name suggests, only sauces made in this precise way, and with these ingredients, can even call themselves pesto genovese. The typical pairing for Pesto alla Genovese is Trofie, a short twisted fresh Pasta, or Trenette, a narrow, flat, dried Pasta similar to Linguine. Red Pesto or Pesto alla trapanese is Sicily's answer to Liguria's more famous basil-rich pesto sauce. It originates from the town of Trapani, in western Sicily, where allegedly sailors from Liguria, the home of the most well-known pesto, inspired locals to make their version, using ingredients abundant in the region such as tomatoes and almonds. In fact, it contains all the Mediterranean Flavor: Sun-Dried Tomatoes, Almonds and Extra Virgin Olive Oil. Red Pesto can also be made with Ricotta Cheese that makes the sauce creamier and with a gentler taste. For a traditional 'pesto alla trapanese' the ingredients have to be crushed using a wooden pestle and marble mortar, just like for a Pesto alla Genovese, but you can opt for an easier, blender-version. 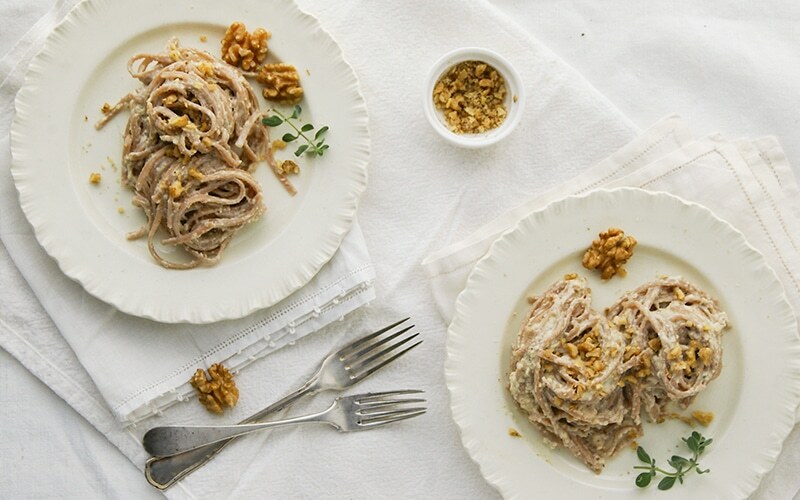 Walnut Sauce is a pasta dressing which comes from the Liguria region, just like is most-known cousin. It was traditionally prepared by farmers who crushed walnut kernels in marble mortars with dry bread soaked in milk. This combination of ingredients created a thick and strong sauce that could be used on a variety of ingredients, primarily pasta. There aren't many ingredients, so it’s one you want to make sure you use good ones, such as a good quality EVOO. Once you have the right ingredient, Walnut Pesto is really easy to make as all you do is soak some bread in milk, then blend it up with some walnuts, garlic and parmesan and then add the Olive Oil. You’ll be amazed at how smooth, creamy and flavorful it becomes. Walnut Pesto is traditionally served with Pansotti, Ligurian triangle-shaped cheese-filled dumpling. This amazing pesto has a key ingredient that makes it stand out: Sicily’s famous Pistachio nuts, which are sweet, fruity and almost shockingly bright green. The rich flavor of pistachio is then balanced by the freshness of Lemon zest, making it ideal for a summery Pasta or as a sauce for your Italian Pasta Salad. It is an incredibly easy meal that tastes like you slaved away in the kitchen for hours. It’s complex, it’s fresh, and nobody will ever guess that it took you less than 10 minutes to whip up! If you want to go the extra mile, toss some slices of Burrata Cheese with your Pasta and Pistachio Pesto: it will look like a haute cuisine creation! 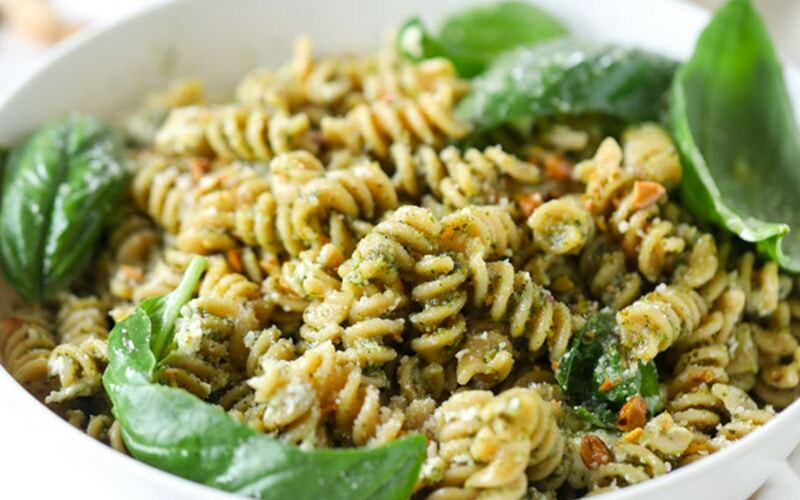 Although it is most commonly used to top cooked pasta, Pesto can be so much more than a pasta sauce. There are so many tasty ways to dress up a recipe with your favorite Pesto Sauce, whether store-bought or homemade. You can try adding pesto to Salmon: without sauce, salmon can be fairly bland, but with the tangy and crunchy pesto is a summery combination and it really gives more flavor to the fish! If you prefer meat, you can try to do a good Pesto Sauce to add to Chicken Breast for a quick and yummy one-pot dinner. Are yuo instead looking for Appetizer Ideas? Try Caprese crostini with Pesto: slice of crusty bread, pesto sauce, mozzarella, tomato. Done! If you have Pesto Left-overs you can add it to Greek Yoghurt, Ricotta Cheese or whatever-creamy-you-have and do a really easy Dip for veggies and bread. You can also use add it to your usual Salad Dressing. The last trick? Add a couple of spoonful of Pesto Sauce to your Vegetable or Pureed Soup. It will definitely change it! We are a team of food lovers with an experienced palate, on the continuous hunt for Authentic Italian Food Delicacies. We are based in Liguria, near the famous Cinque Terre. 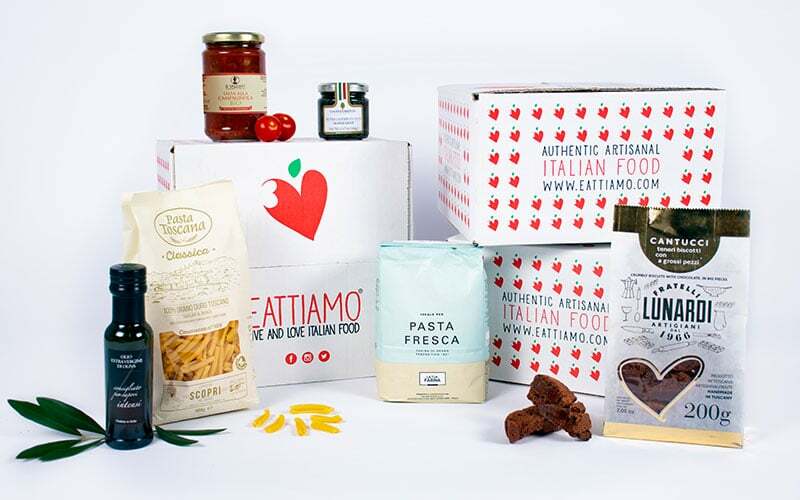 Each Month we select the best products, handpack them carefully in Italy and send our EatTiamo Boxes directly to your doorstep, with all the steps to cook a perfect full dinner for 4 people.